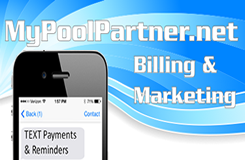 Nice package of accounts perfect for anyone looking to enter the pool industry or grow their current route with a nice 3 days worth of pools in the heart of OC. Route consists of 47 residential accounts and 4 commercial accounts that are smaller/easier community type pools. Seller is retiring after many years in the industry and is ready to pass the torch to the next person ready to make some money and continue to grow the biz. Seller will also include the biz name and phone number if desired.